Rachel Hart is the secretary to campus ministries at Huntington University. In this role, Rachel is responsible for coordinating details with visiting speakers, supervising records of chapel credits for students, and maintaining schedules for the staff in the Office of Campus Ministries. A 2018 HU grad, Rachel holds a bachelor’s degree in film production with minors in history and non-Western history. While a student, she served as a chapel scanner and a Campus Ministry Coordinator (CMC) and completed internships in Los Angeles with Morman Boling Casting and Haven Entertainment. 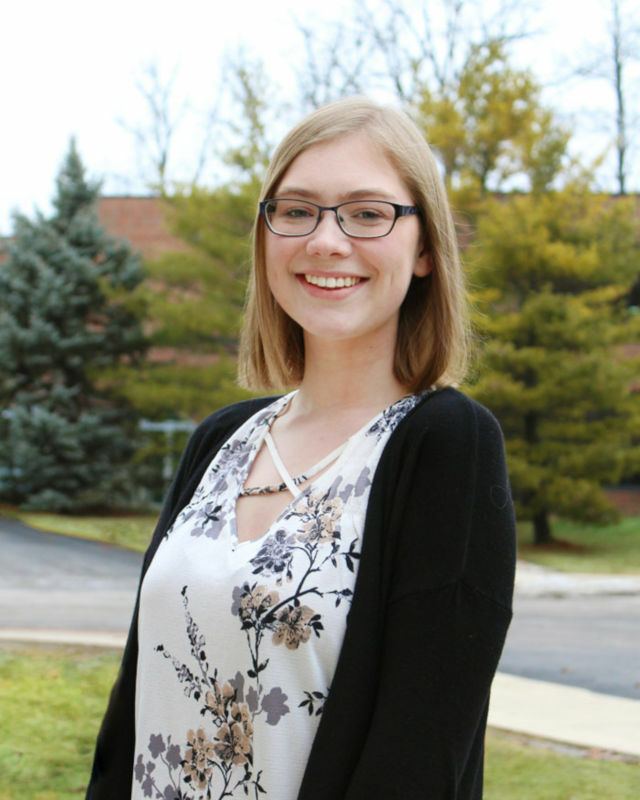 Originally from Saline, Michigan, Rachel now lives in Huntington, where she enjoys screenwriting, reading, and playing the violin in her free time. She spent a semester in Los Angeles taking classes, interning, and producing a web series pilot. Some of her favorite HU memories involve late-night work sessions in Becker Hall with other film students and group lunches with friends in the HUB.